The pickup trucks try to satisfy a very wide range of needs and, this makes them the most practical vehicles from the roads. They are usually built to tow massive loads, to offer spacious cabs and to deal with tough road conditions without backing down. This mix however isn’t easy to achieve and during the long pickup’s long history we’ve seen a lot of uninspired ideas which failed to please the crowds (for instance take a look of the El Camino or Caballero). Chevrolet’s Avalanche however, brought something new on the table and unlike the classical pickup trucks it features a special trait which makes it unique. For increased practicality, the open bed of the vehicle opens to the back seat area through a folding panel – named the Midgate - and a removable rear window. 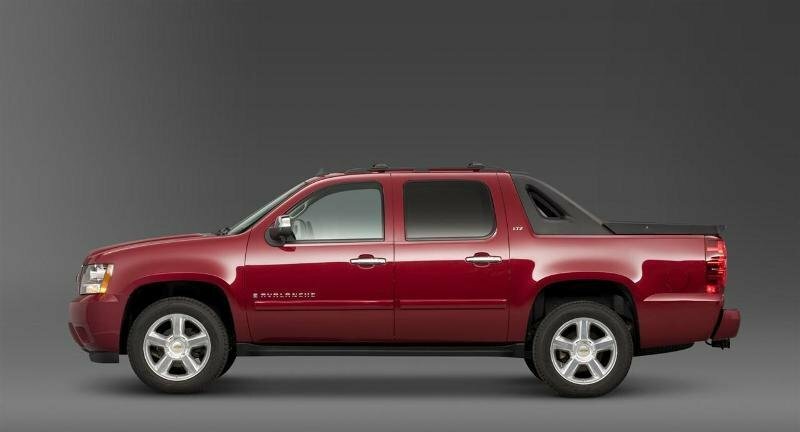 The Chevrolet Avalanche features a typical American design. The front is dominated by a massive grille which is split in two sections by a thick horizontal bar. The yellow company logo is mounted directly in there center while the grille is also flanked by two big headlights which further enhance the rugged appearance of the vehicle. The front bumper has a solid construction and comes with deep mounted fog lamps and two small air intakes which help to keep the engine cool. We’re not 100 percent convinced by the straight cut design of the wheel arches, but we’ll have to admit that it gels pretty well with the rest of the vehicle. The Midgate opens to extend the cargo-carrying capability from the cargo bed’s 1.600 mm length to 2.500 mm. But to make complete use of the extra space you’ll also need to fold the rear seats. Thanks to its generous load volume and the capable engines the vehicle can tow a maximum load of 3,629 kg. Avalanche’s cargo box also features a lockable tailgate, rigid tonneau cover and a useful top storage box. The interior design is pretty dull with a boring dashboard and plain lines which won’t win you any beauty awards. The materials however, are pretty good and the build quality it’s part of the first class. We also like the modern instrument cluster and the ergonomic dashboard which gives you easy access to most of the controls. The four spoke steering wheel looks also great and comes with integrated controls, and a few handy adjustments to make your life on board easier. The seats are pretty comfortable and come with adequate cushioning and proper back support. There are also plenty controls to help you find a proper position in no time. You seat pretty high from the ground, and the road visibility is nothing short of excellent with relatively thin A pillars and a generous windscreen. The cabin is offered with either five or six seats. The five-seat Avalanche features a wide console with lots of storage while the six-passenger model has a plainer dash with no console. The rear seats are pretty comfortable too and there is plenty of leg and head room for anyone who wants to travel back there. 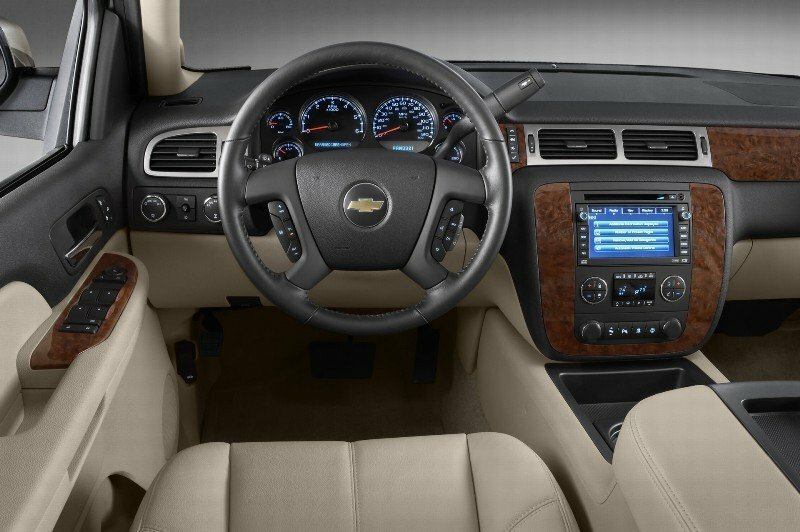 The basic Chevrolet Avalanche comes with a pretty long list of standard features which includes power windows, locks and mirrors; keyless entry; a power driver seat; an AM/FM/XM/CD player with MP3 capability; a USB port; and steering-wheel audio controls. The superior trim levels add a navigation system; Bluetooth; Bose audio; leather seats; power-adjustable pedals; remote start; and ventilation for the front seats. 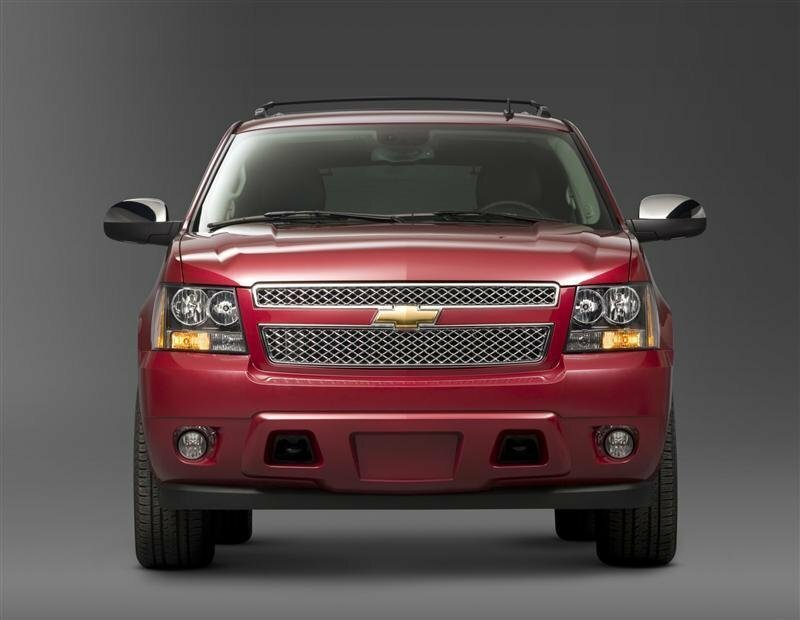 The Chevrolet Avalanche it’s offered with a 5.3 liter V8 unit, which develops 320 hp. The engine is mated on a six speed automatic transmission which delivers smooth performances and has adequate gear ratios. Needless to say that, the V8 offers plenty of torque and rewards you with a tremendous pulling power in both 2WD and 4WD versions. 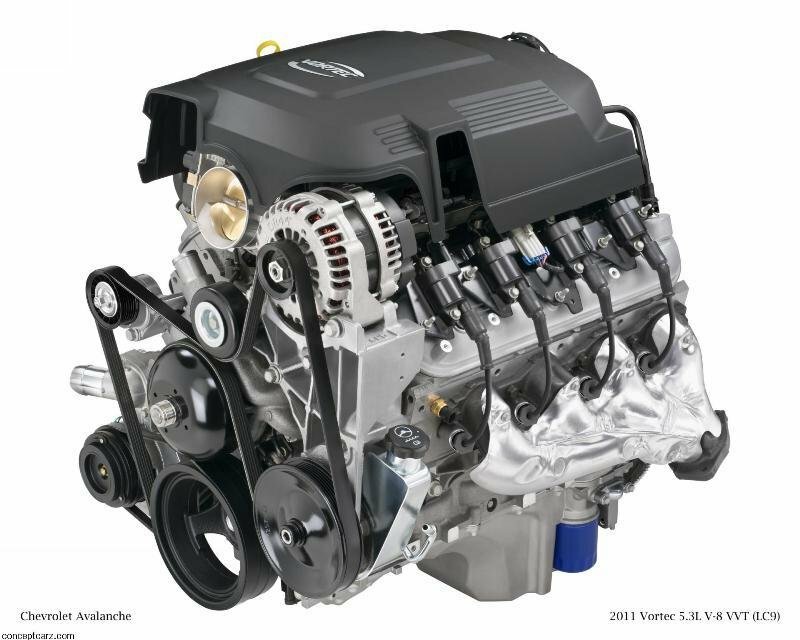 The V8 is equipped with cylinder deactivation and flex Fuel capability which makes it slightly more efficient than the ones from Nissan or Toyota. The Active Fuel Management technology works by activating all engine cylinders when more power is needed and deactivates four of the eight cylinders with seamless precision to conserve fuel. This helps Avalanche offer a fuel consumption of 21 MPG on highway. 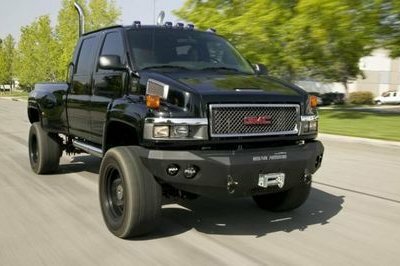 The FlexFuel-capable engine, can also run on either unleaded fuel or E85, a combination of 85% ethanol and 15% gasoline. The Chevrolet Avalanche comes with an independent front suspension while at the back it gets semielliptical leaf springs. The ride has a pretty good balance and the suspensions are also able to keep you safe from road bumps too. 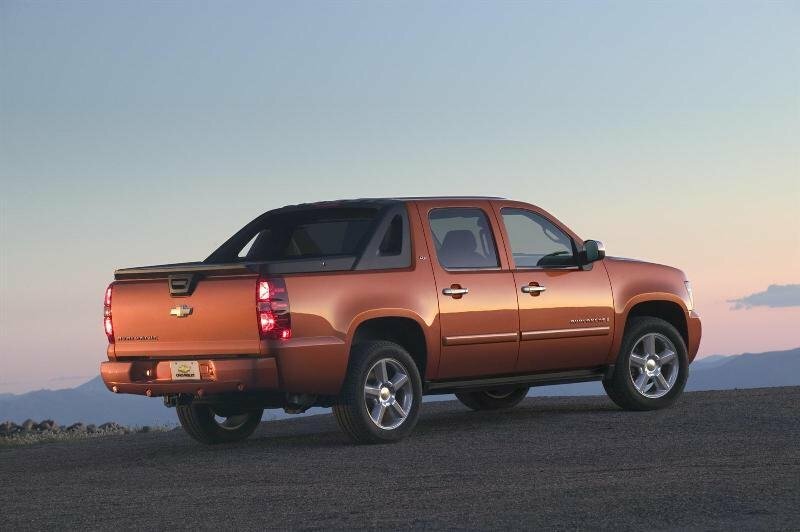 Overall the Chevrolet Avalanche has pretty good road manners and handles well in corners. The steering offers a good compromise between road feedback and lightness, permitting you to deal well with the narrow city streets. Moreover, the Chevrolet Avalanche comes with the StabiliTrak Electronic Stability Control System with Traction Control which helps the vehicle respond to steering commands and limits wheel slip to get you moving on slippery surfaces. For better performances there is also an automatic locking rear differential which sends power to the wheel for more grip. The Chevrolet Avalanche offers a perfect compromise between a rugged pickup and a sporty SUV, being one of the most practical and versatile vehicles in its class. The vehicle also comes with its unique Midgate concept which increases cargo capacity making it more practical than its rivals. The V8 engine is a real gem and delivers astonishing performances and a tremendous pulling power, never feeling strained or underpowered. The ride and handling are at par with what you’ll usually find in this segment, while the off road abilities are pretty decent too. We also especially love the well kitted interior and the first class materials found inside.